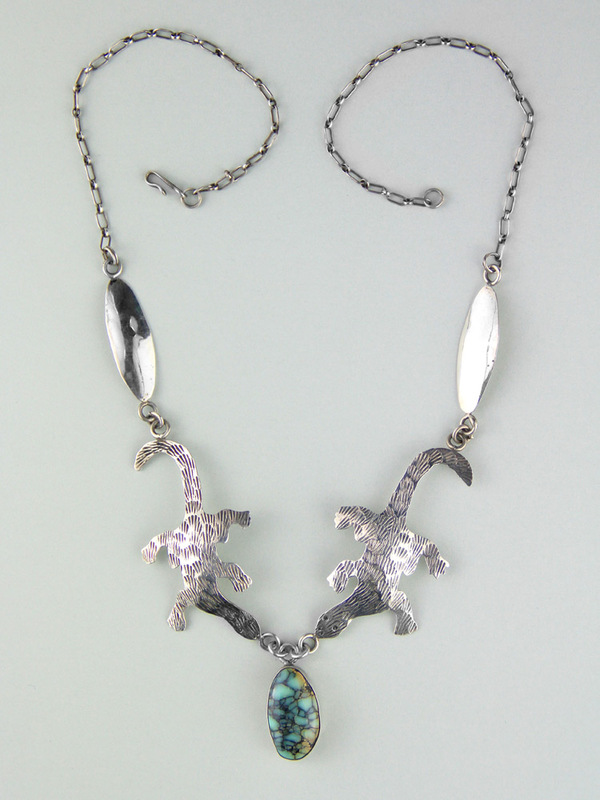 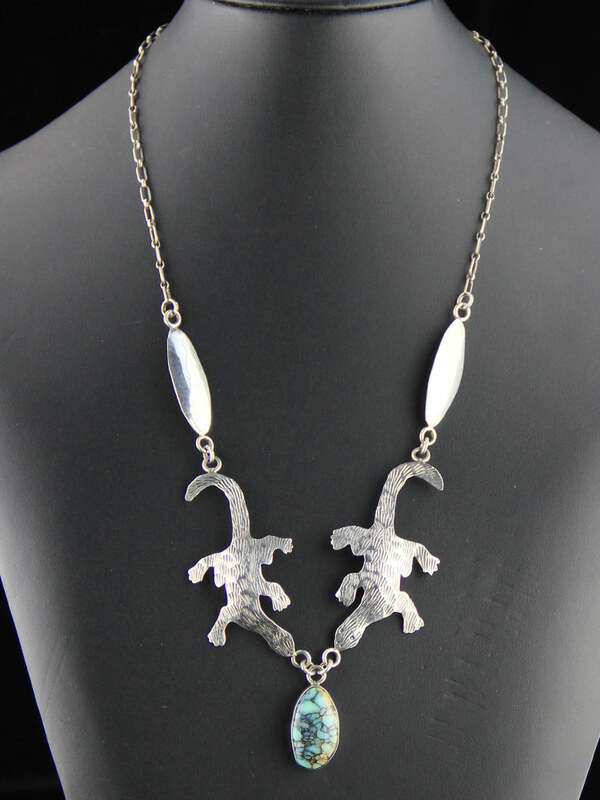 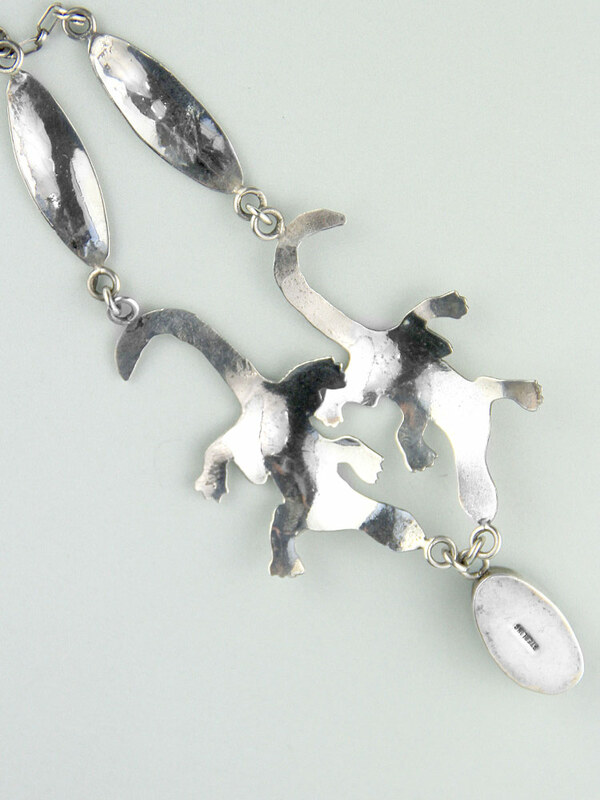 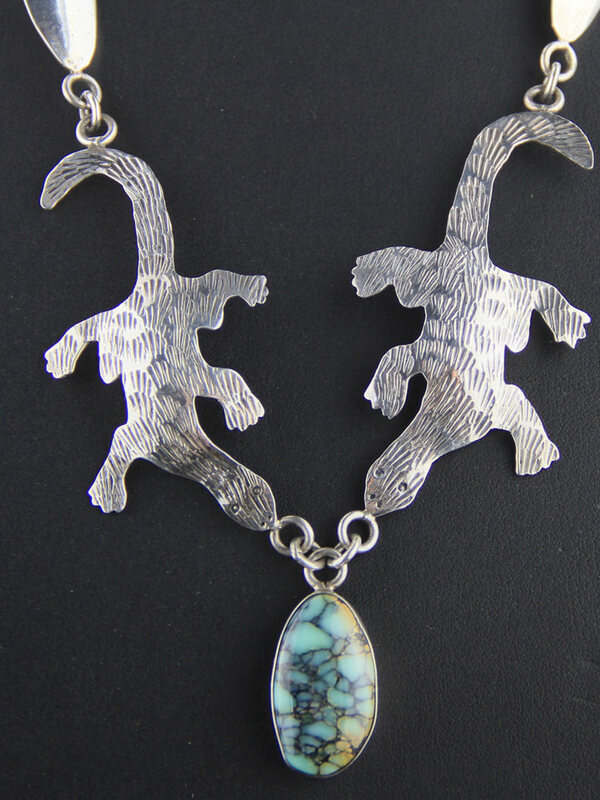 Fantastic, unusual handcrafted Native American necklace, Navajo made circa 1980's. 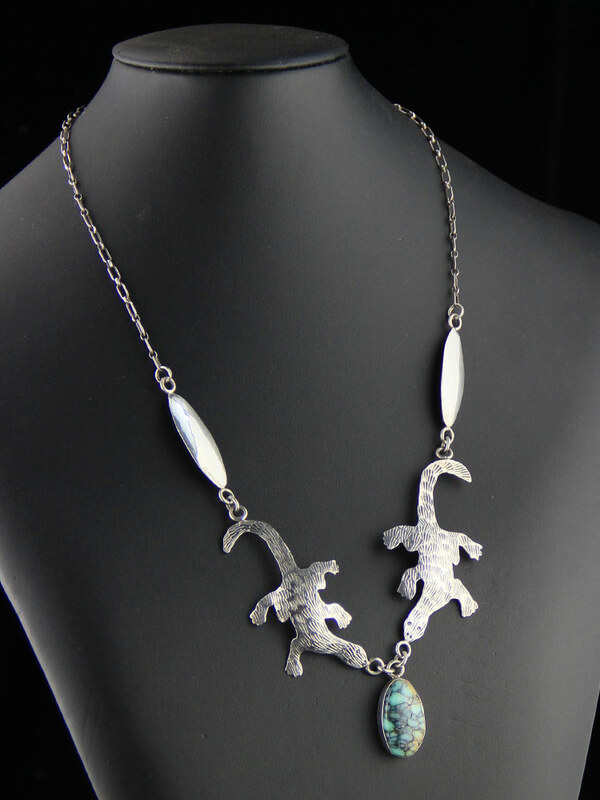 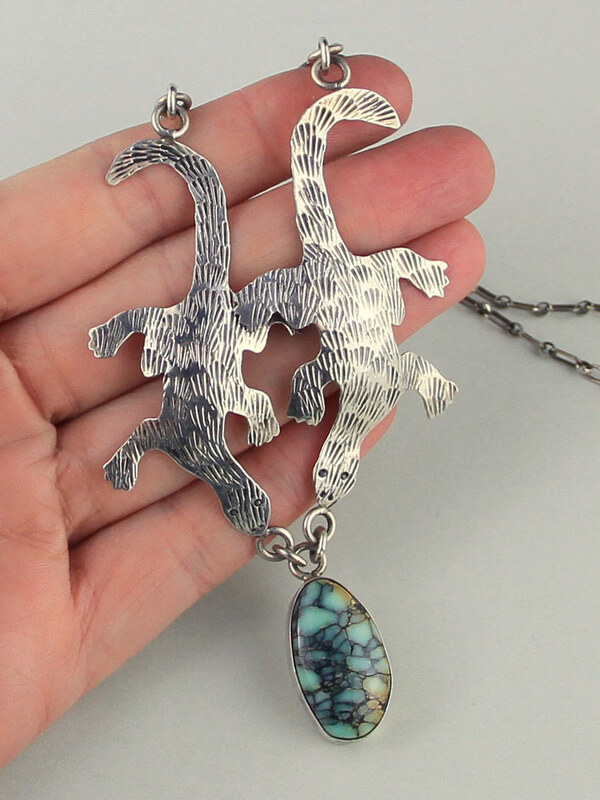 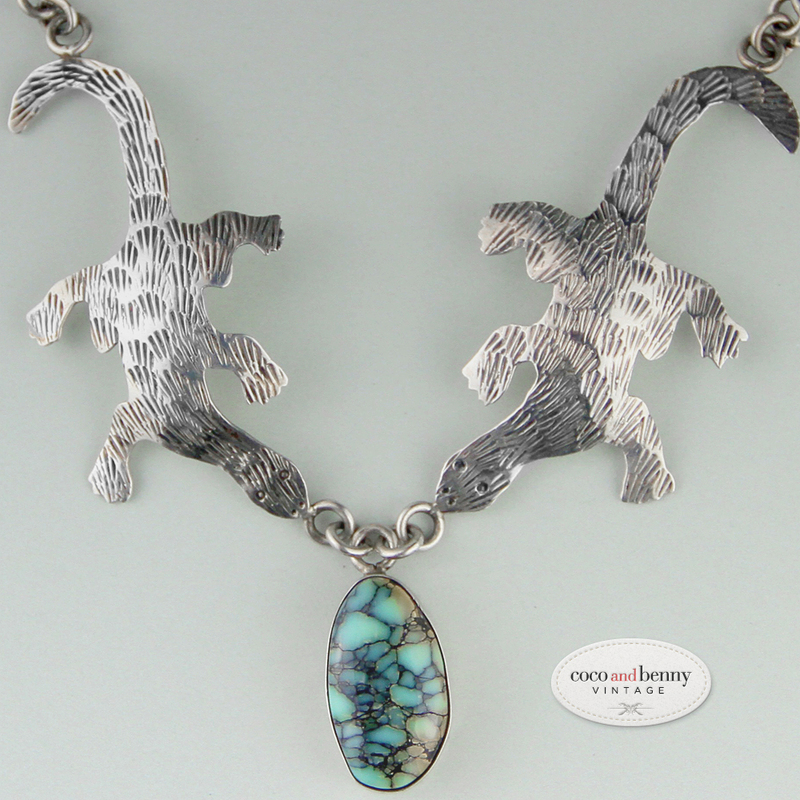 Lovely long pendant, hand etched geckos/lizards on either side with a large genuine spiderweb turquoise cabochon in a smooth bezel. 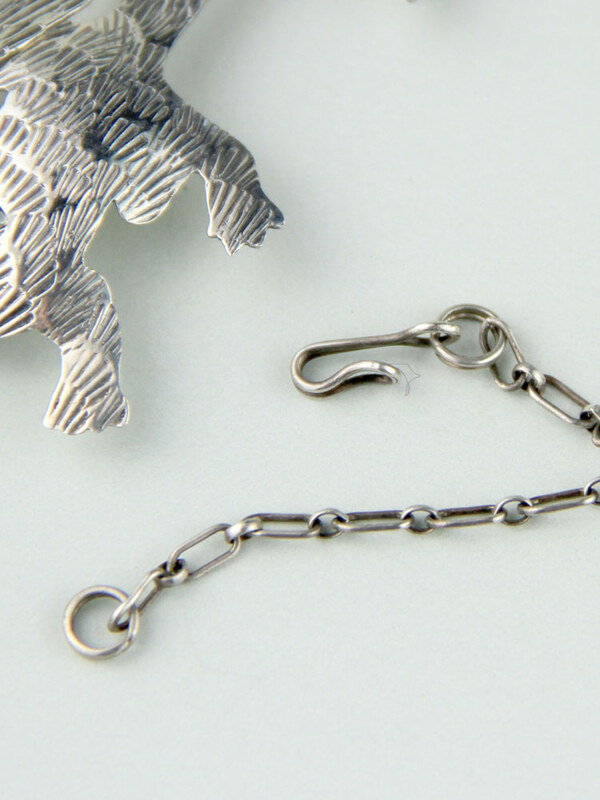 Hand cut oval links and a hand made chain with simple J clasp. 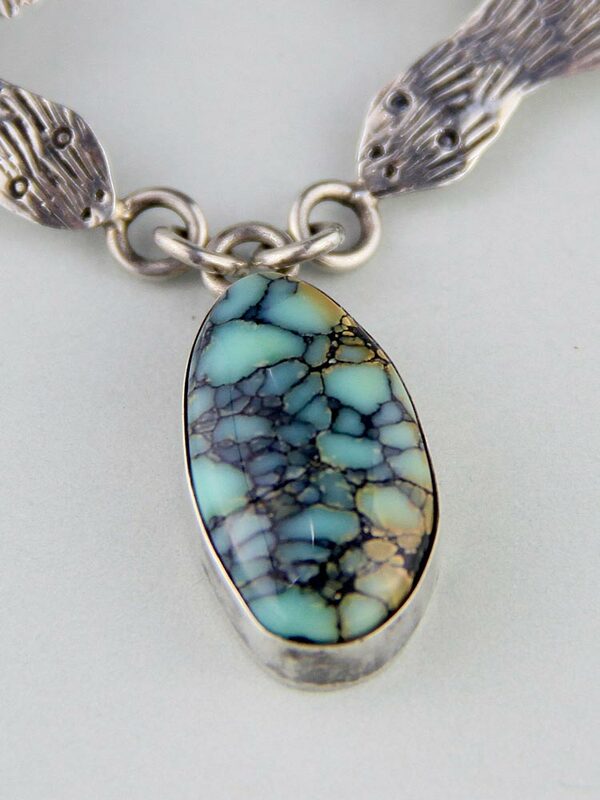 Light and easy to wear, fantastic design.